Pretty stilly that this comes with a CD for installation. Who the heck uses CDs anymore? I don't even have a CD player on my 5 computers in the house. So it took me about an hour just to figure out how to get the software loaded and working because the manual they send it with does not give you instructions on how to install without the CD. But product itself is great once working. I am happy with my purchase. I love the software as it is easy and fun to use. It is great that this model of printer can take so many different label sizes and they are so easy to change over. I love his product when it works. However in a print run of 90 labels it cut out 3 times and stopped working. I had to turn it off and on and reinstall onto computer etc. which was quite frustrating. But labels print well. Just hope these glitches sort themselves out. Purchased this to assist with warehouse and distribution. 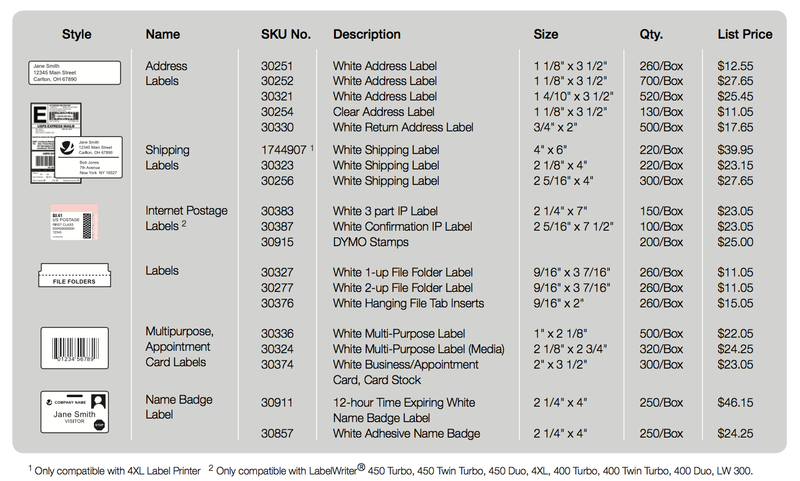 Perfect for printing labels from shippit and auspost on the 100x150 large labels. Saved many headaches using my laser printer. I would highly recommend this printer. Not sure if it's in there or not, but it would be nice if there was a label cutter. I've read through the booklet, which is mainly other languages, and pressed buttons, but nothing has happened. IT needs to have a cutter. it has saved me a lot of time and effort~! Dymo does it again with this great wide format printer! Great print quality with fast output!